Just when you thought it was safe to go back to law school….It’s the return of Way Worse Than Being a Dentist! 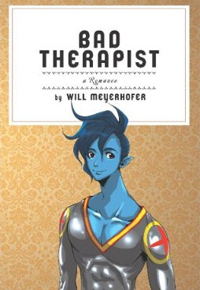 Will Meyerhofer is back, and the question sort of asks itself: Has anything changed since the publication of his original runaway best-seller? 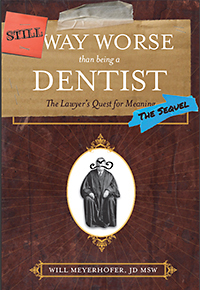 Find out in this sequel, “Still Way Worse Than Being a Dentist,” his all-new collection of reflections, pontifications and penséeson all-things-legal, drawn (mostly) from the pages of AboveTheLaw.com (and if you’re still wondering about that self-asking question…There’s a clue in the title.) 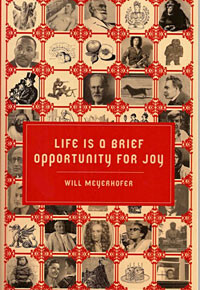 Meyerhofer will make you laugh. He’ll make you cry. But you can’t go wrong. Trust him, he’s a lawyer. A mystic. Nay! …A visionary. The greatest thinker of our age. 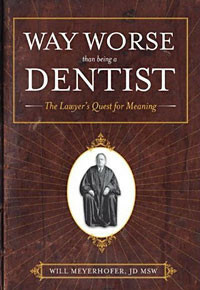 Still Way Worse Than Being a Dentist is available as an ebook or paperback via Amazon and BN.com and as an eBook in the Apple ibookstore.